Hey, it’s Fujikawa! Seems like it’s been awhile since we last talked about collagen! We talked about collagen powder the previous time, and today we’re diving into collagen drinks! Well, partly because I realised after purchasing the powder form, it is a little troublesome to consume… I thought that this will not do, and proceeded to a little research on the easy-to-drink collagen drinks! 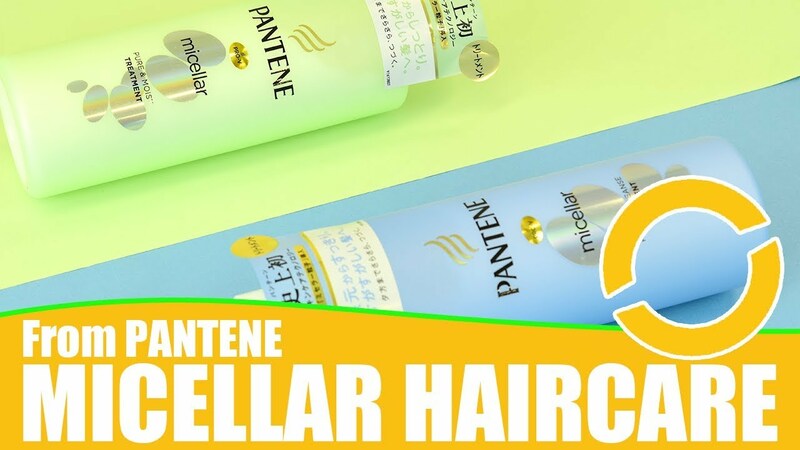 We are going to talk about Meiji and Shiseido collagen drinks today. 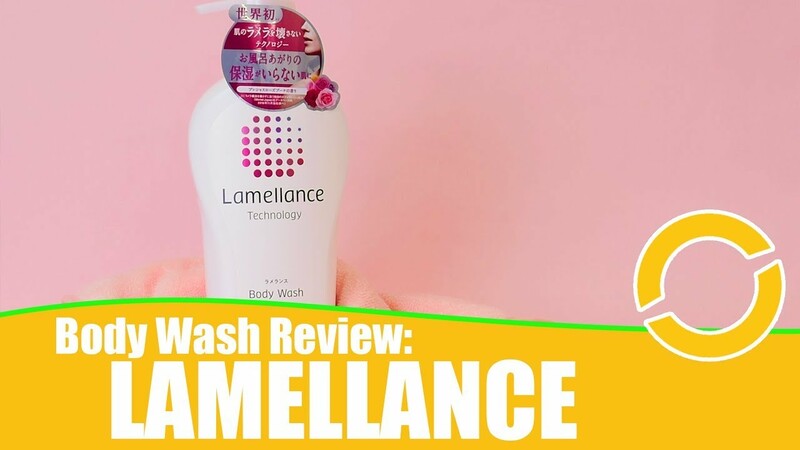 Even though Shiseido and Meiji are famous for their collagen powders, it’s about time we gave their liquid counterparts a look too. When we think of Shiseido collagen, we think of how it is specially formulated with lingonberry and indian gooseberry! These help to encourage the growth of collagen within our cells. 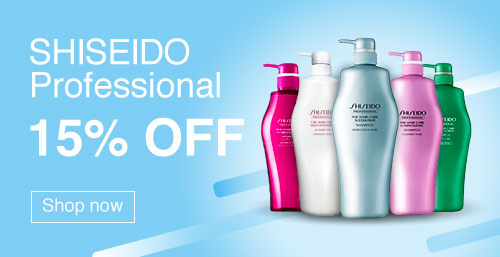 There are three types of Shiseido collagen drinks, “The Collagen”, “The Collagen EX” and “The Collagen Enriched”. All of them have low molecular fish collagen which are easily absorbed by the body, and doesn’t carry taste or smell. Don’t be fooled by the small volume of Shiseido’s collagen drink! It contains Hyaluronic Acid, Ceramide, Ornithine, Royal Jelly and vitamins. 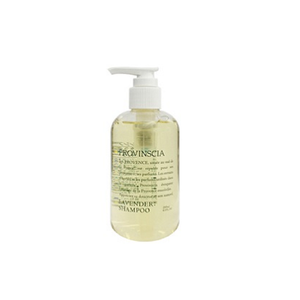 It also includes anti-aging ingredients, and ingredients that help us achieve better looking hair and skin. This collagen drink is thus recommended for anyone who needs these ingredients supplementing their needs. This collagen drink helps to restore the collagen that has been deteriorated from effects like stress. You can expect to get a relaxing effect from drinking this, which means it is a good support for stress-care, and even helps with sleep. The beauty ingredients amino acid GABA and Ornithine are formulated into it. This collagen drink aims to deal with deteriorating collagen due to aging, and help achieve vibrant and bouncy skin. It is formulated with 15 different types of beauty ingredients. Similar to “The Collagen EX”, this collagen drink tackles deteriorated collagen from aging. In fact, Enriched is the one to get if you want something that works better than EX. Enriched has a patented formulation that contains twice the composition of beauty ingredients as compared to EX, with a total of 18 different types of beauty ingredients. Meiji is very confident about the contents of its collagen drinks. 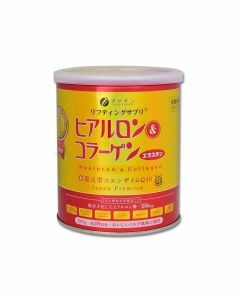 This collagen drink is not made from the fine powder of the Amino Collagen can. Instead, it is formulated with glucosamine, and long pepper essence which is used in Indian traditional medicine. It helps with the flow of blood, improving the blood circulation in our bodies. Meiji Amino Collagen Beaute is the creation of Meiji confectionaries, and is highly absorbable by the body. Hence, Beaute is highly recommended for times when you need to get your skin condition back on track quickly. 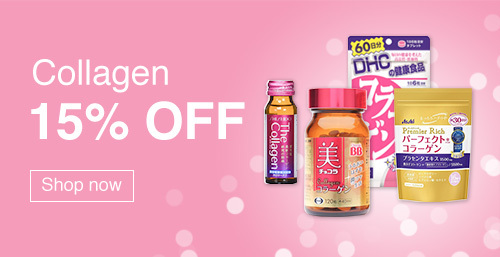 Unlike normal collagen drinks that can be bought from drugstores, this amino collagen EX series is only available on the Meiji Official Online Store. This collagen drink helps you achieve confidence in your bare skin as it is potent with collagen and moisturising ingredients. This collagen drink is for anyone looking to attain healthy and supple beauty. No matter if you have an active lifestyle or love traveling, it can also be enjoyed easily. Collagen drinks are more convenient than powder types, and is even said to be quick-acting too! Be sure to give these drinks a try! 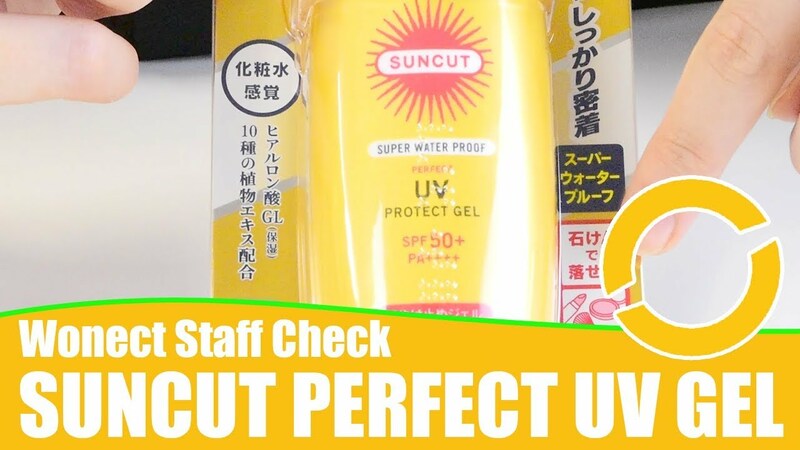 Thank you for your review on these products! I am now in Japan and decided I should give it a try but it was getting hard to choose between collagen drinks and powder…I am definitely going for the drinks option now. Glad to be of help. Enjoy your time in Japan! Thanks for sharing. Could you help me to pick which type is good for 34 years old? 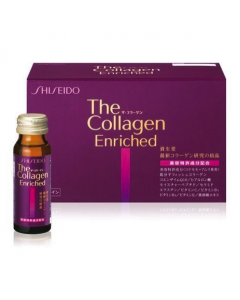 The collagen, collagen EX or enriched? Hi Halle, that’s a seemingly simple question, but the more we thought about it, the deeper it got! You see, it is not so much about our age. We know that we start losing collagen content in our skin from 25 years old onwards, so collagen supplements are always welcomed for ages after 25. However, there are other considerations to think about, like the current state of our skin. Is it in tip-top condition? 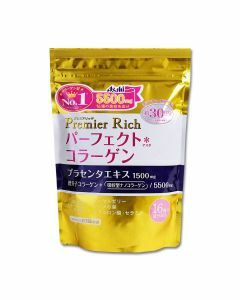 Then perhaps we can go for Shiseido The Collagen to play the role of maintenance, with the added benefit for body care. Is it in less than ideal condition, eg skin gets exposed to external stress due to nature of work? Then we’d want to something stronger like The Collagen EX or even The Collagen Enriched. Secondly, there’s also what you want The Collagen to do. Collagen drinks are considered “quick acting”, thus can be considered as something to pop open when you need a boost for an important event on the following day. Or perhaps you want something for the long run? If you are open to powder and tablet types, they are more economical for skin improvement and maintenance. Which brings us to the third point, cost! No doubt EX is more expensive than the standard The Collagen, and Enriched is more expensive than EX. If our skin condition doesn’t require it, getting Enriched is probably not needed, thus we can consider the cheaper options. Ultimately, I would suggest considering your priorities! Is your skin very stressed, and you’d like something to take for improvement? Perhaps you’d want to take Enriched first, then when your skin has improved, you can switch to EX, or even The Collagen. Is budget the key factor? Then you may want to start with The Collagen first, before diving into EX and Enriched. Do consider the non-drink types for long-term cost! Are you exploring collagen options across brands to find one that works best for you? Maybe starting with The Collagen makes for better comparison with other brands. Hope this has been useful! ? How often should you drink, daily, weekly ? I am 68 and suffer from occasional breakouts. Otherwise my skin is in good shape for my age. Should we continue to drink the collagen while we are planning to have a baby? Hi Theary, collagen is okay for intake (since collagen is already present in our body!). However, it the supplements’formulations that you need to pay attention to. You will need to make sure that there are no ingredients within that you should avoid. In that case, your doctor, who will be familiar with your needs, will be able to give a better evaluation on the supplement(s) you are considering to use. Next story Which Mucota DYNA Treatment Should I Choose?